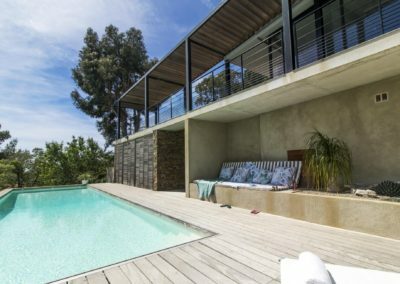 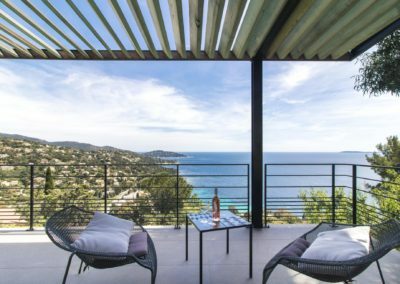 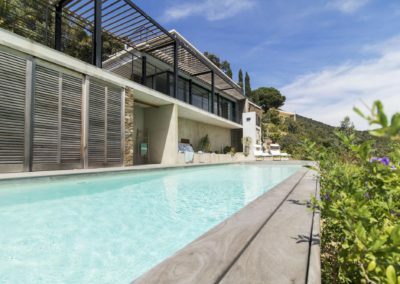 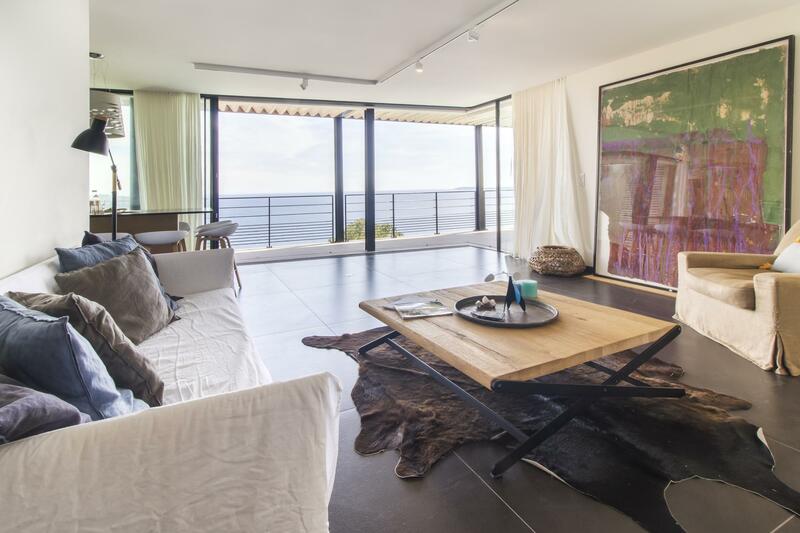 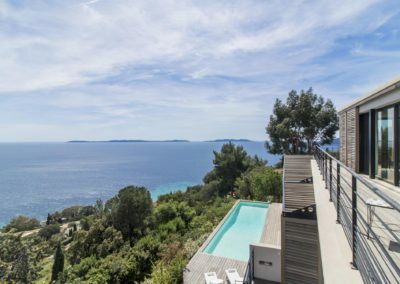 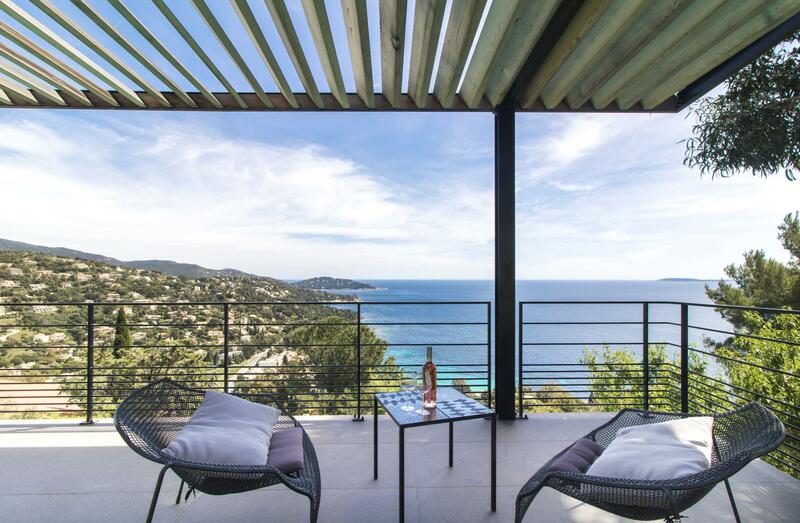 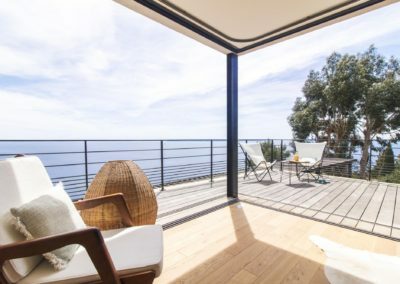 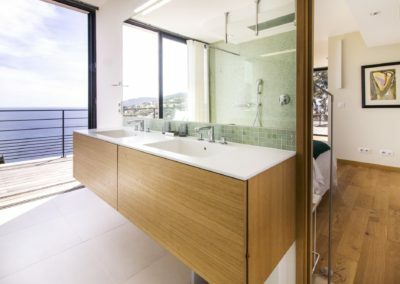 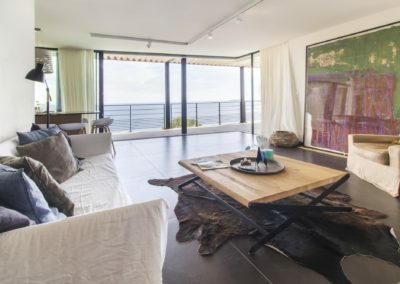 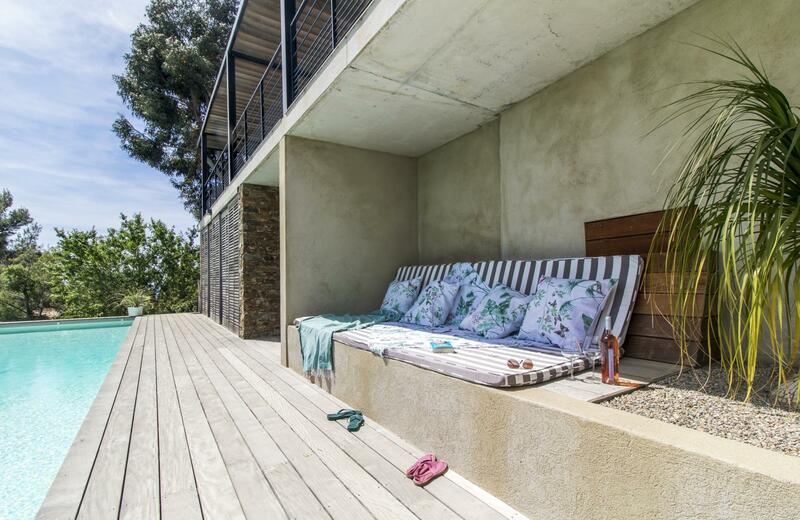 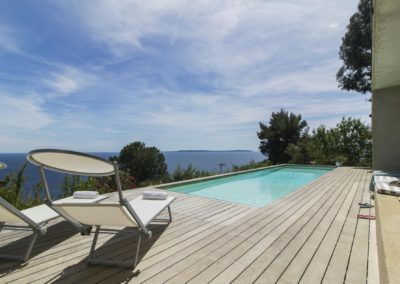 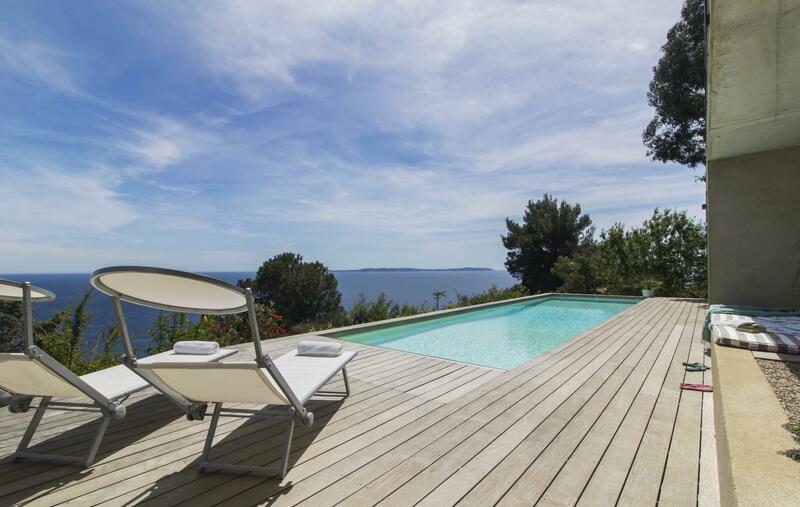 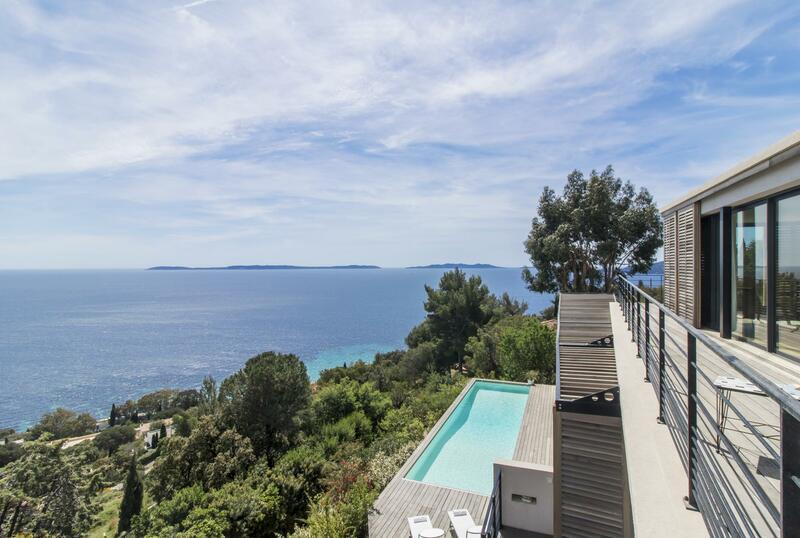 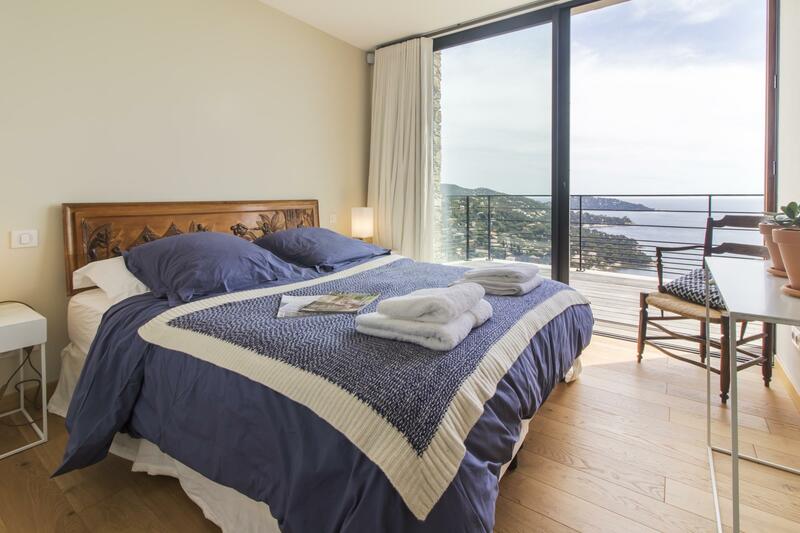 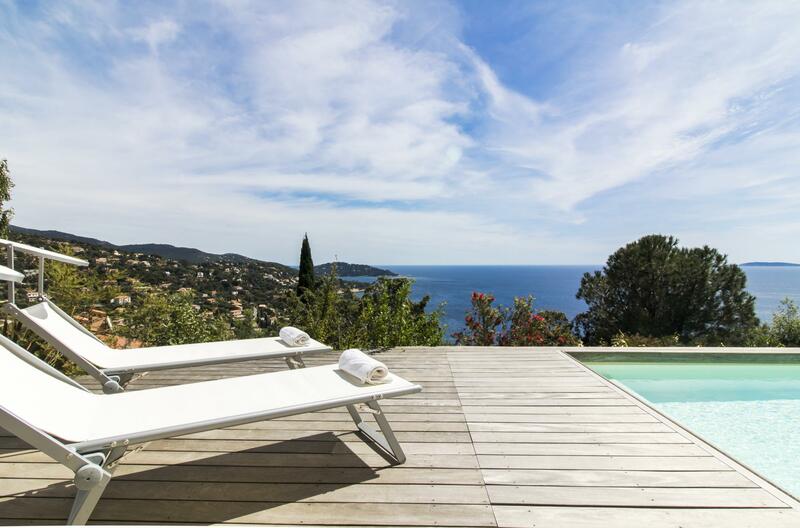 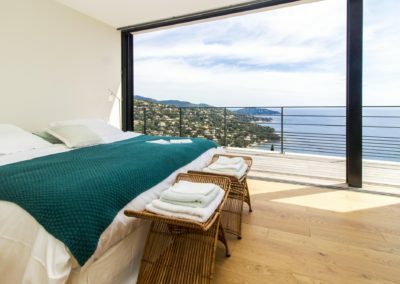 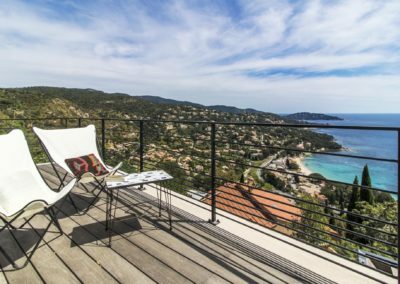 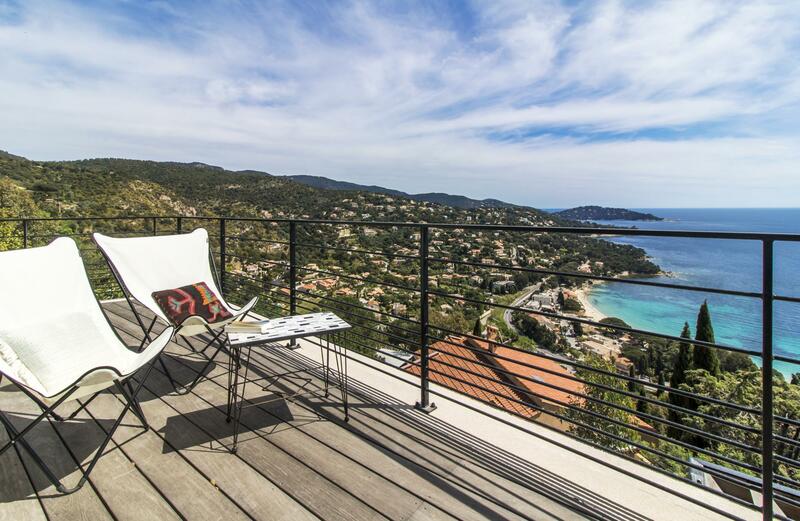 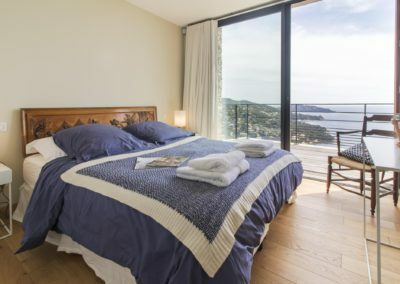 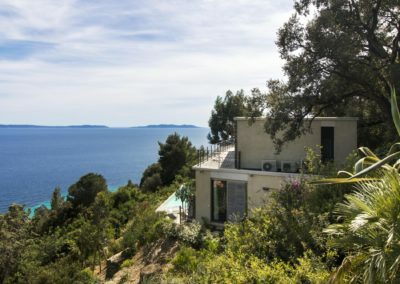 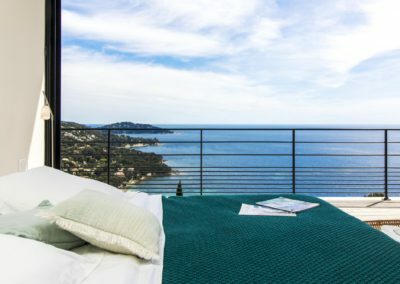 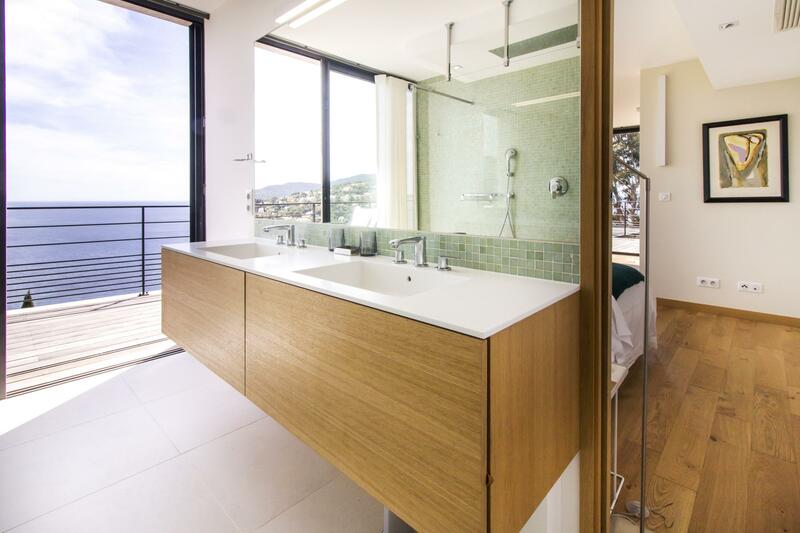 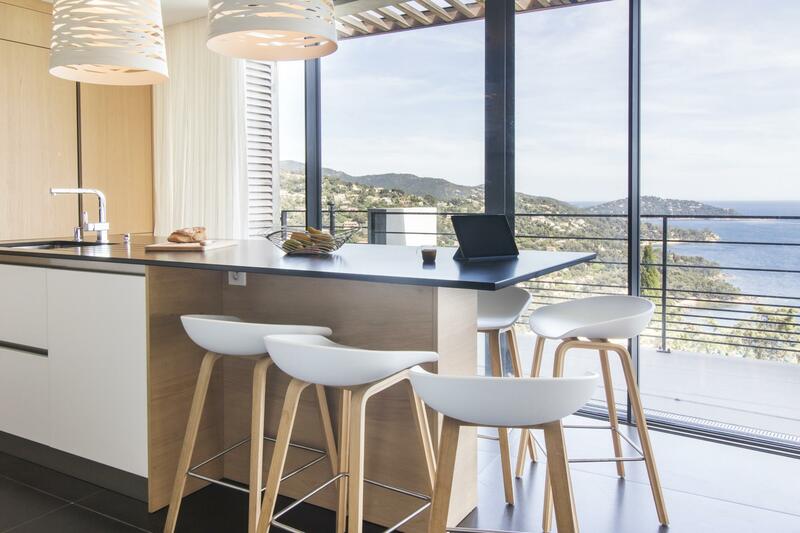 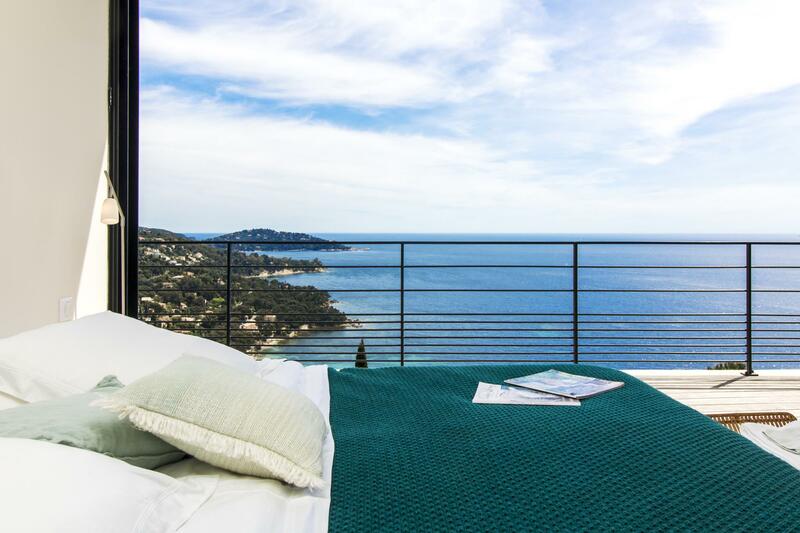 Perched on a clifftop above Plage de la Fossette, overlooking the magnificent bay of Le Lavandou and the Ile du Levant, this contemporary villa with heated salt-water pool enjoys striking sea views and a beautiful surrounding of forested hills. 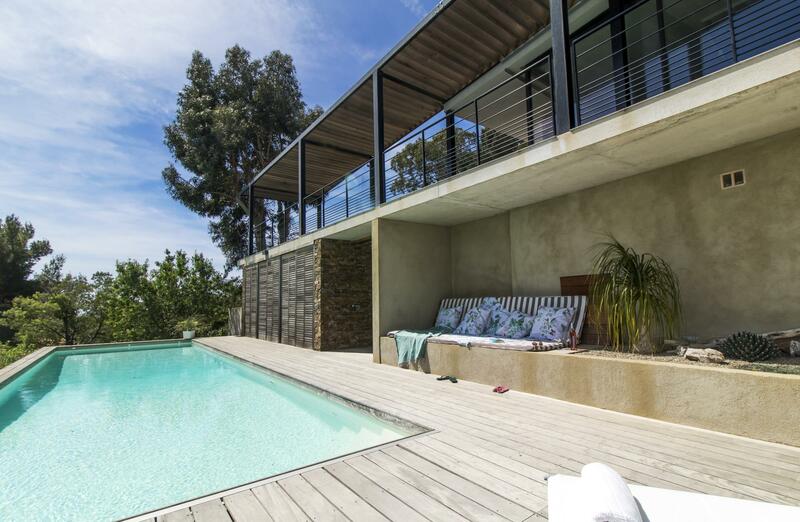 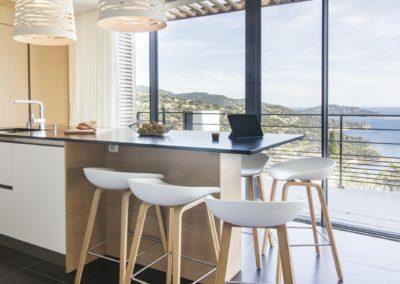 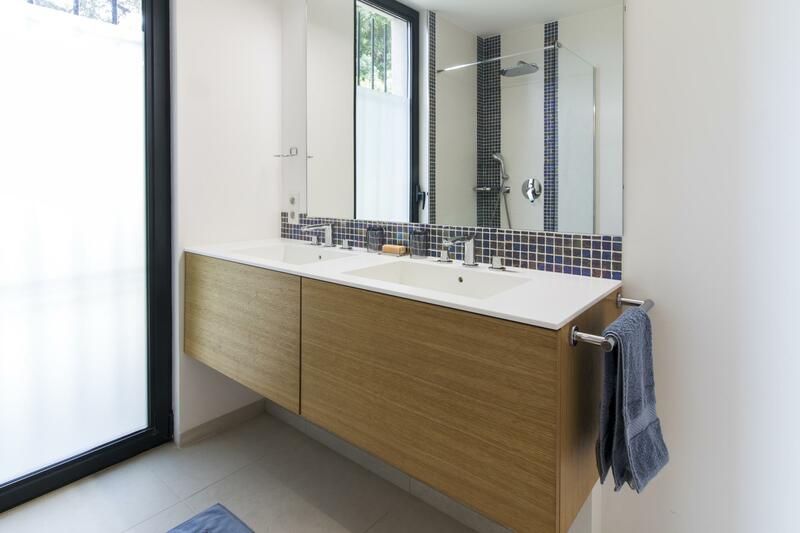 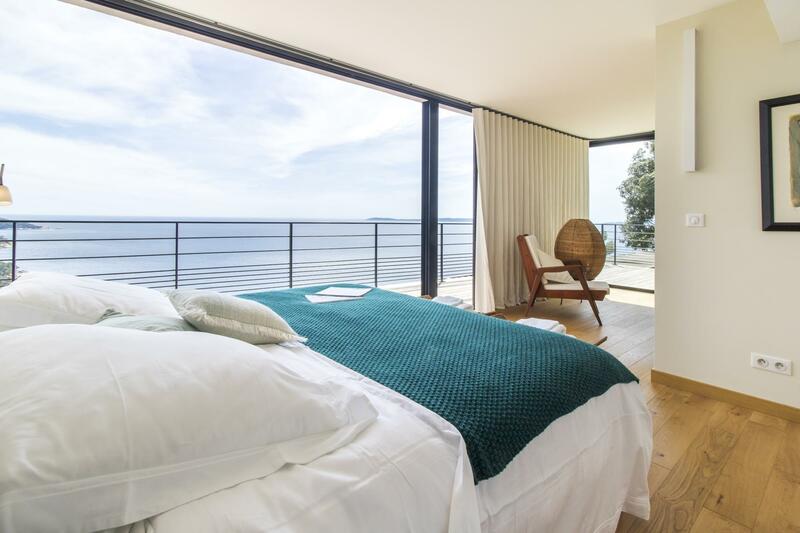 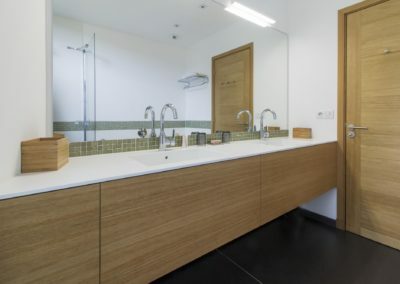 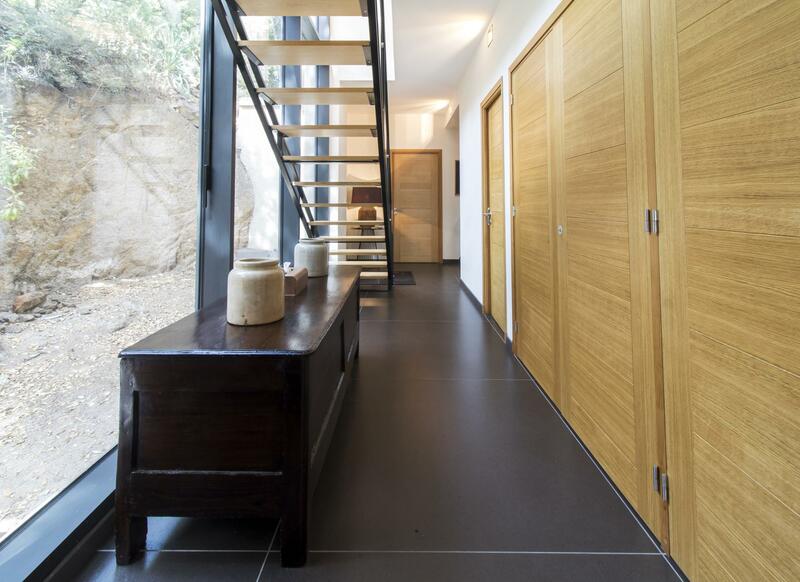 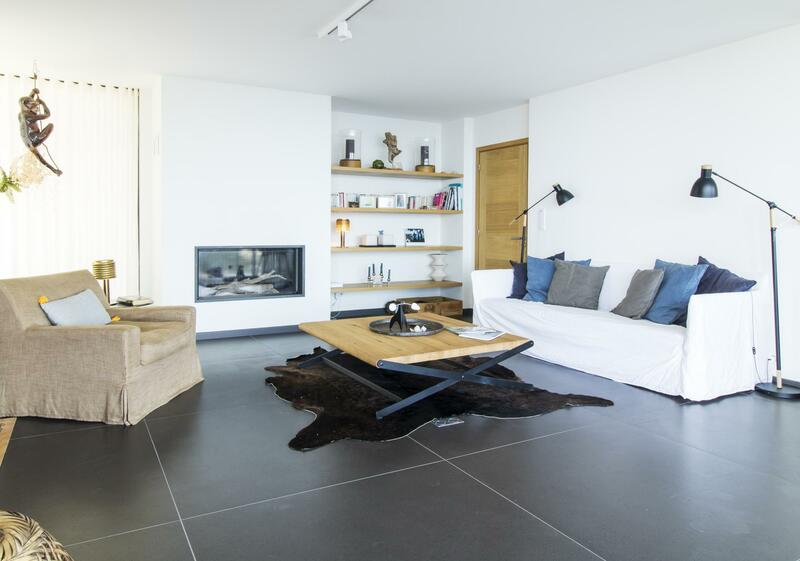 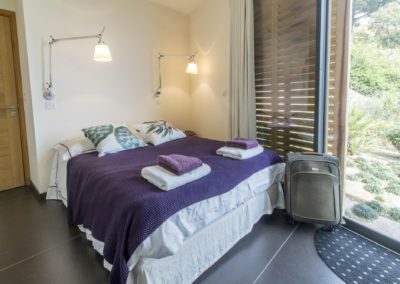 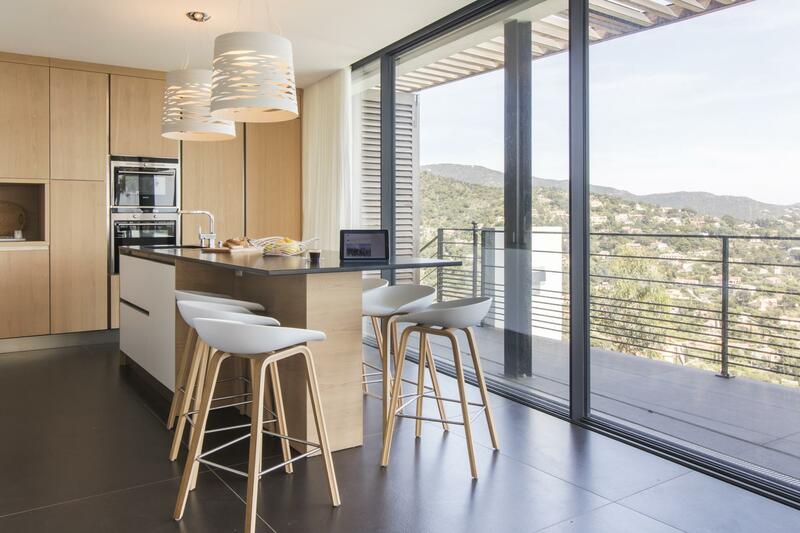 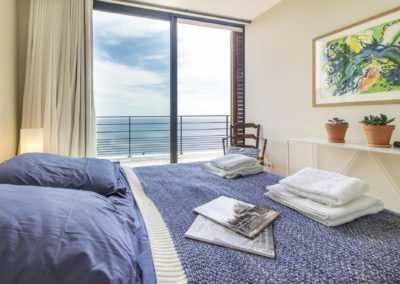 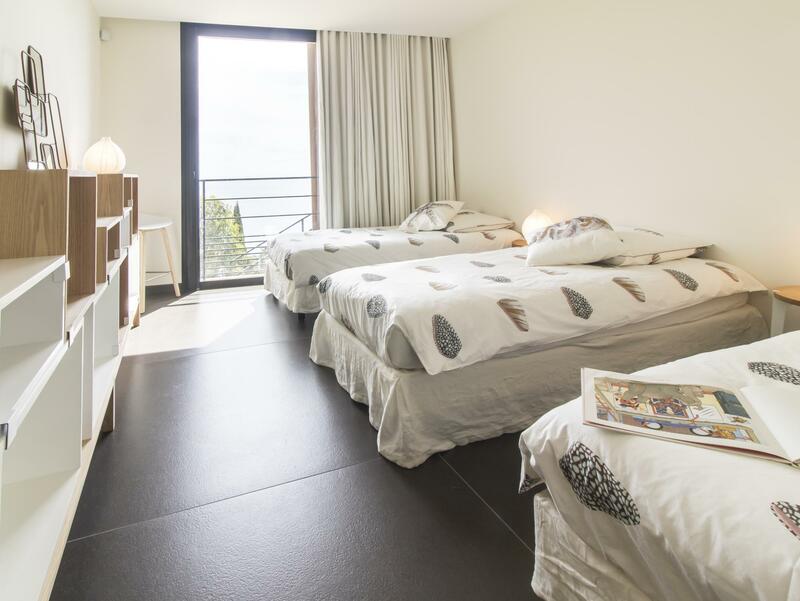 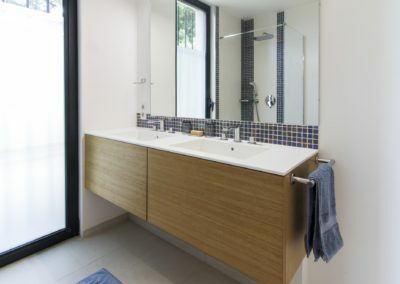 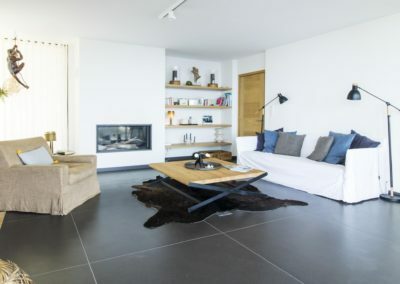 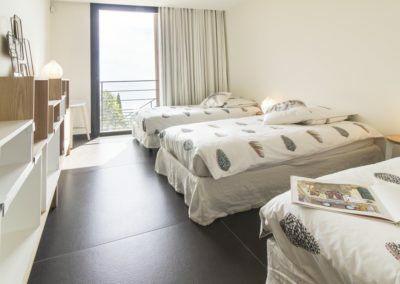 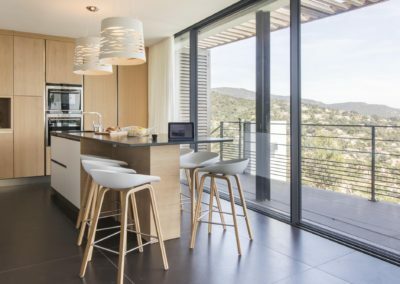 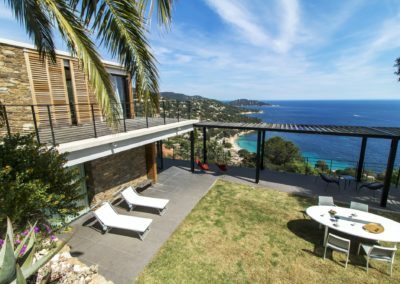 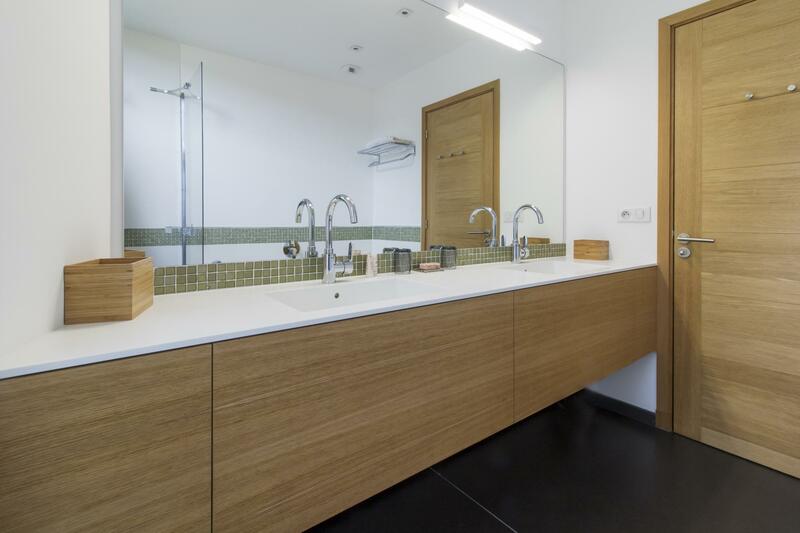 Designed for a relaxing holiday away from it all, in harmony with its natural surroundings, this modern villa is furnished in a minimalist style. 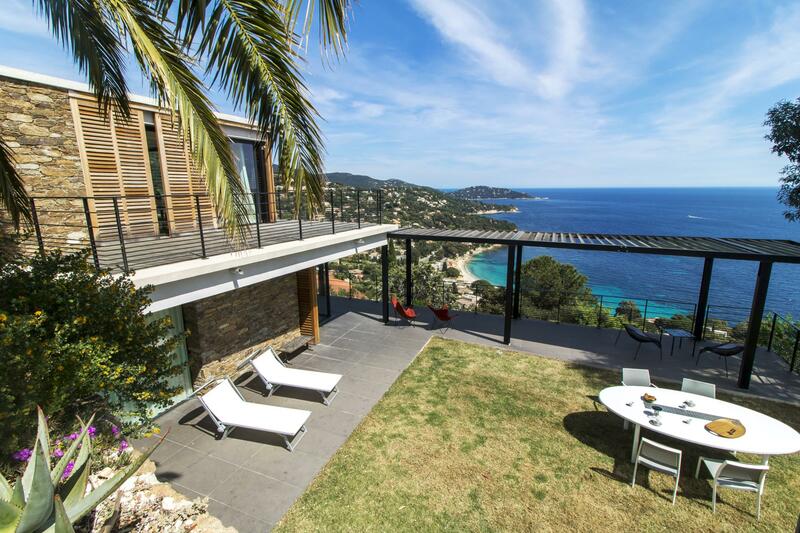 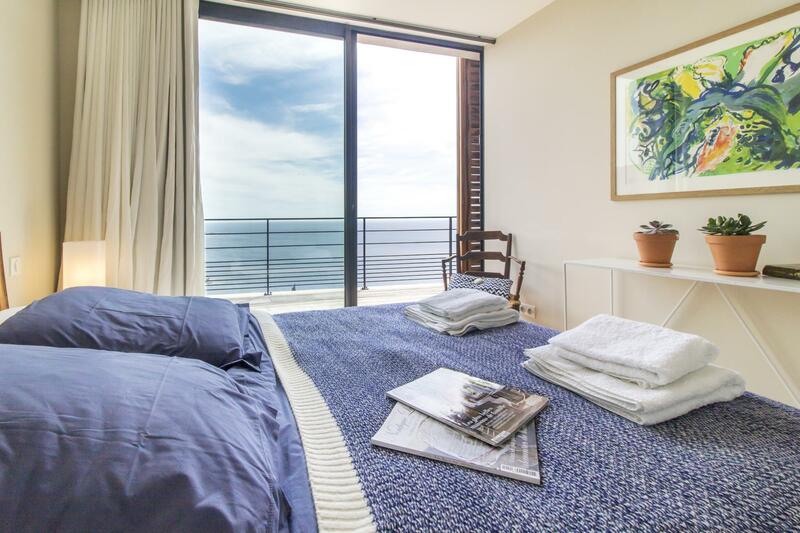 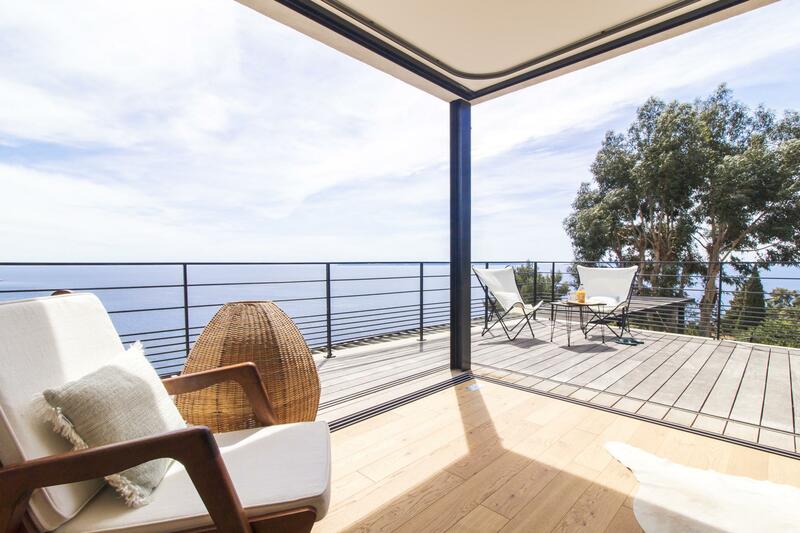 Open the tall floor-to-ceiling sliding doors and step onto long decked terraces to enjoy the sea breeze. 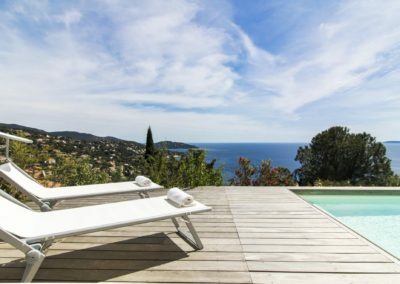 Watch unforgettable sunrises as you have your early breakfast; this stunning vista can be enjoyed even as you cool off in the pool. 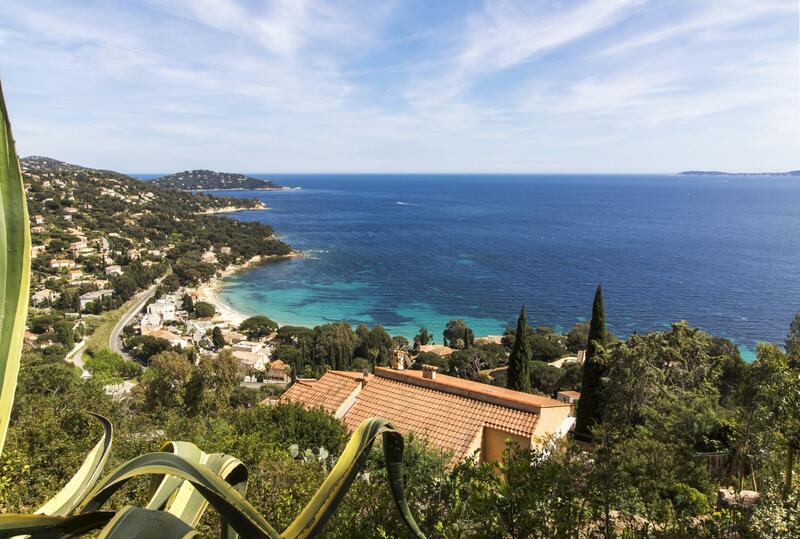 Also known as the Cote d’Azur Varoise, this splendid stretch of the French Riviera features exciting hiking trails along the coastal path between Bandol and Saint Rafael; enjoy trails through forests of chestnuts and cork oaks, along creeks and around coves hidden between rocky outcrops sheltering fine sandy beaches. 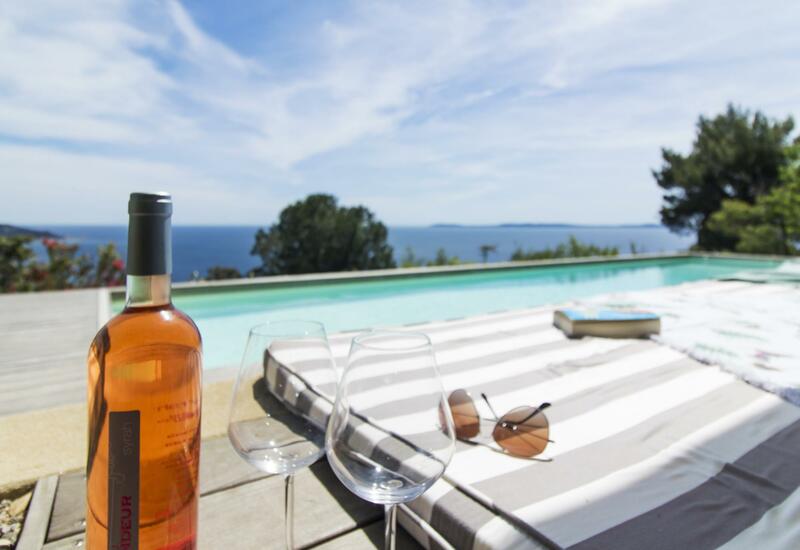 Attractive wine trails take you through many chateaux, domaines and vignobles in the area around Bormes-les-Mimosa and La Londe-les-Maures, but also Ramatuelle, Vidauban, St Tropez and beyond, into the very heart of Provence. 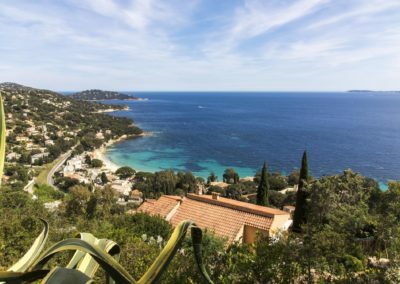 If you like ‘Provencal markets’, here you are spoilt for choice; in fact you can visit a different market every day selling local farmers’ produce, organic food, fish, arts and craft, clothes, leather goods and artefacts inspired by the colours and beautiful landscapes of the region.